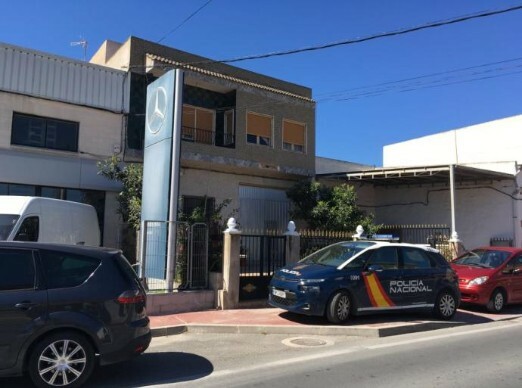 The 65-year-old co-owner of a Mercedes car dealership in the Orihuela area died on Monday when he fell off the showroom roof. The incident was reported to emergency services at around 10.30 am with the body of Francisco Santos Berna discovered on the ground at Correntias Medias on the CV-95 between Orihuela City and Bigastro. He had gone onto the roof to inspect whether there had been any damage following the weekend’s strong winds and rain.